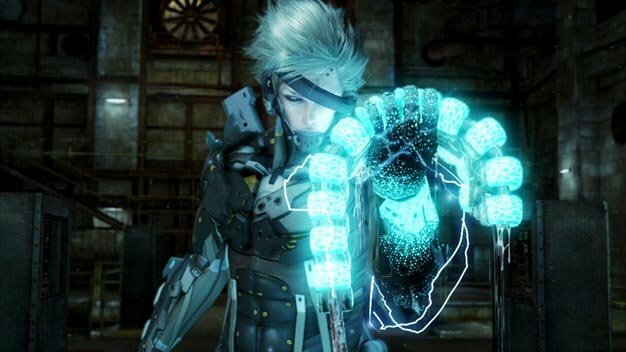 Metal Gear is written into series creator Hideo Kojima’s blood; he will never be rid of it no matter how much he longs to move on from the series. I’ve lost count of how many times he’s said he’s stepping down from the series altogether, only come come back the following E3/TGS with another Solid Surprise. To be fair, he never confirmed Metal Gear Solid: Peace Walker as his last game. In fact, Peace Walker‘s ending suggests the opposite, and now Konami have dropped a few hints that we’ll see him back in action soon enough. Seeing as Kojima just finished his own MGS5, and now that we have a liiiiittle bit more info on Rising we’re going to bet we won’t see his next for a while. Still, plenty of time to get the sequel/prequel/remake/spin-off/director’s cut rumor mill running again. That wheel seemingly doesn’t stop when it comes to MGS.